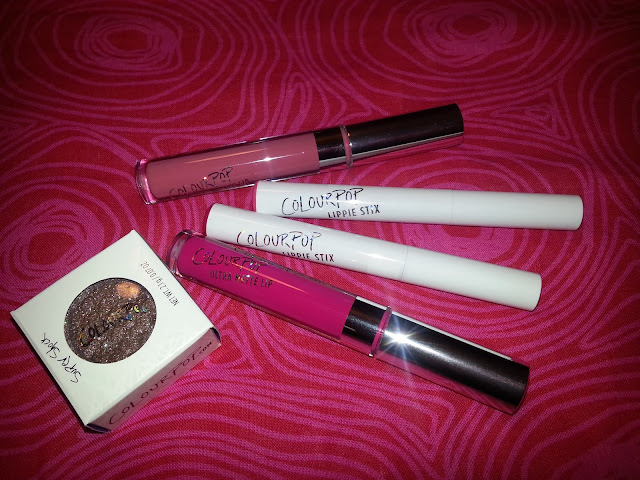 Deidre's Discoveries: Another Colourpop Haul! I think I had mentioned in my previous Colourpop post that they were having a sale coming up and I had actually ordered some more items (like I actually need anything). Well they came maybe two weeks ago, and I'm finally able to sit down and get some more reviews going. Again, I apologize for the huge gaps in my posts, the summer months are very busy because of a seasonal business. I ended up getting two lippie stix in the new matte x collection, two ultra matte liquid lip sticks and one super shock eyeshadow. The two shades in the lippie stix I got are barely there and poppin'. These were the two I felt would match best with my skin tone. I will include a swatch at the end of this post with how they look. But personally, I was not a big fan of this formula. I found that barely there was VERY patchy. Poppin' applied a little nicer, but they were both uneven and drying. They also are a little more out there then I would usually go with lipstick. 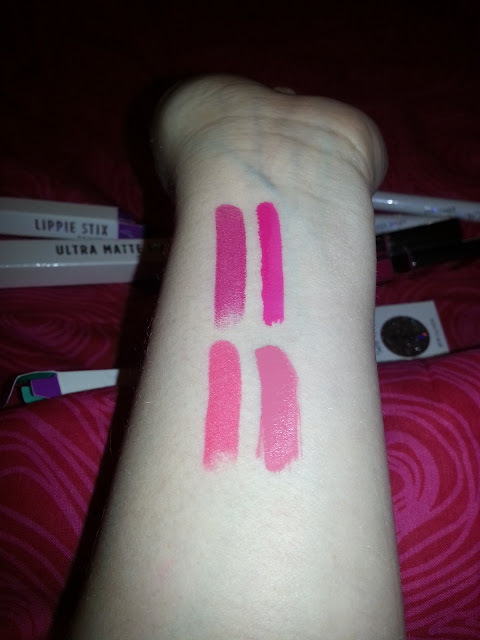 Overall I wouldn't repurchase the matte x line. 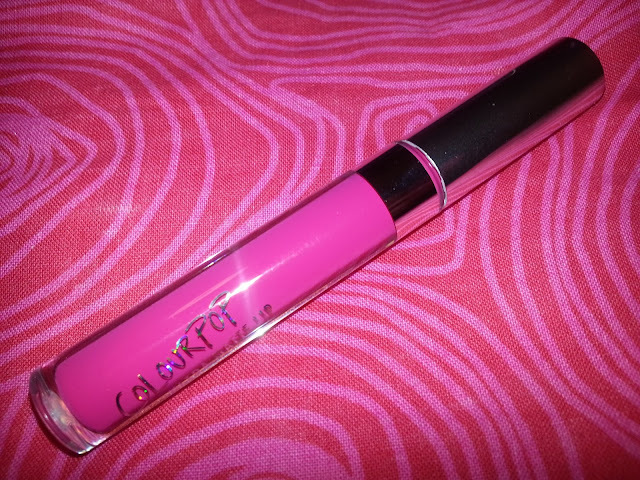 Since I was not a big fan of the ultra satin lip formula, I was looking for more of a pink shade. 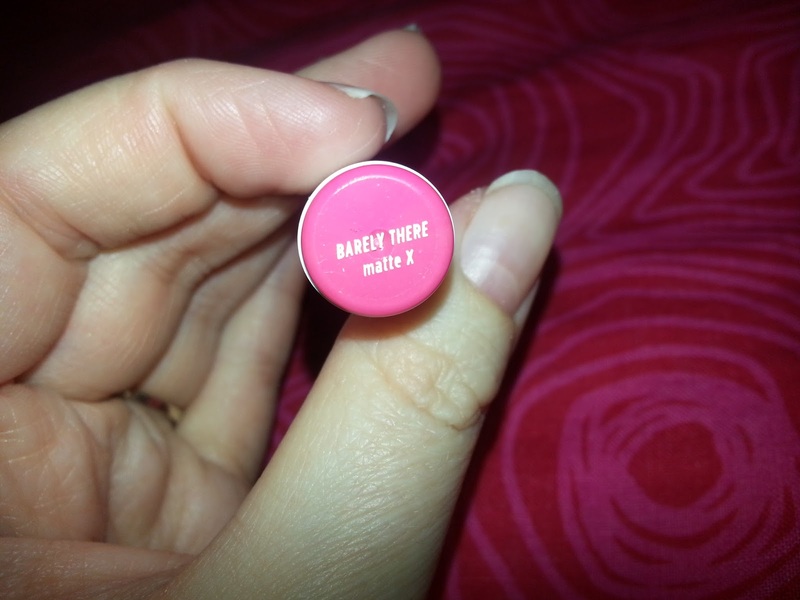 But in a matte finish. I liked the colour of spritz. This 1st base seemed to fit that colour I was looking for. This actually dries a little more bubblegum pink on my lips. 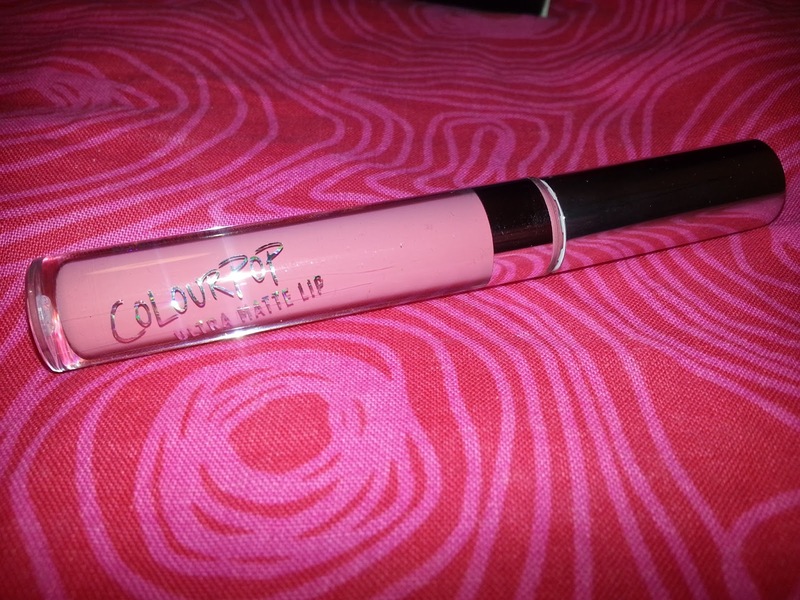 It applies pretty smoothly but it fades very patchy compared to the solow I have. I like the colour of this but I don't like how it fades. 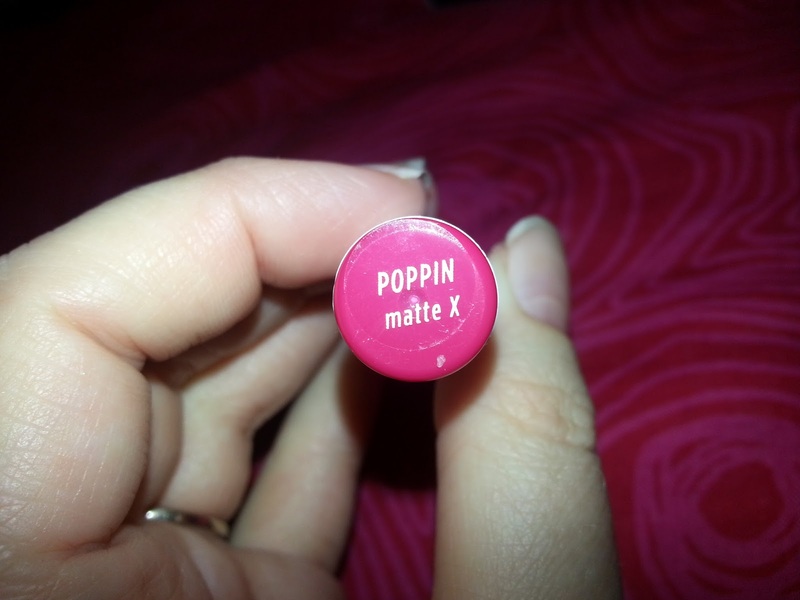 Okay, I know I said before that the matte x shades were a little too out there for me, this shade is way out there too. But I guess I was feeling brave when I placed this order lol. I haven't worn it on my lips yet, but again, I will provide a swatch at the bottom of this post. It's very bright! When I ordered this shade, I was looking for a taupe colour. However, this is brown. Oops! I use it on the outer corner of my eye and I like it. It is very sparkly if you don't like that, then you won't like the sparkle on these. Above is a swatch of 3. 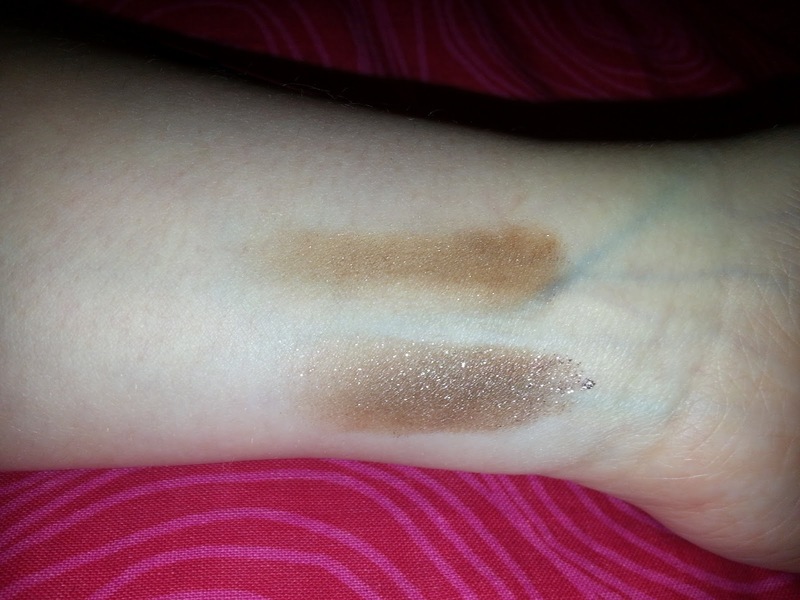 Lightly applied it is not too dark, but a heavier hand shows the darker shade it can become. And here we have swatches of the lip colours! On the top left is poppin', top right is Highball. On the bottom left is barely there and bottom right is 1st base. Did you pick anything up from the 20% off Colourpop sale? What did you get? PS.. I placed another order yesterday! Ah! 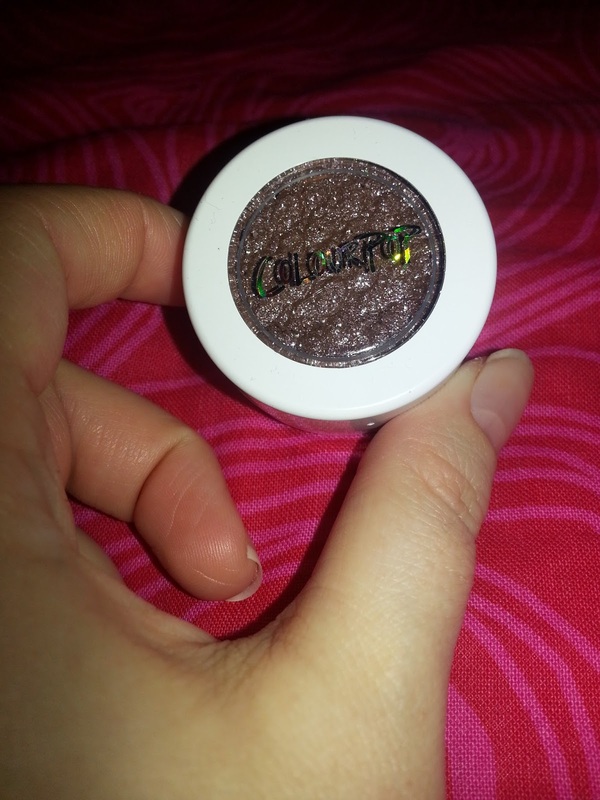 Colourpop is celebrating their second birthday and every order receives a free super shock shadow in the limited edition shade birthday boy. So be on the lookout for that review when I get it! oh man - I placed orders both during the 20% off sale and for Birthday Boy! Love the look of "3"!